Readers with an eye on European politics will recognize Ali as the Somali-born member of the Dutch parliament who faced death threats after collaborating on a film about domestic violence against Muslim women with controversial director Theo van Gogh (who was himself assassinated). Even before then, her attacks on Islamic culture as “brutal, bigoted, [and] fixated on controlling women” had generated much controversy. In this suspenseful account of her life and her internal struggle with her Muslim faith, she discusses how these views were shaped by her experiences amid the political chaos of Somalia and other African nations, where she was subjected to genital mutilation and later forced into an unwanted marriage. While in transit to her husband in Canada, she decided to seek asylum in the Netherlands, where she marveled at the polite policemen and government bureaucrats. Ali is up-front about having lied about her background in order to obtain her citizenship, which led to further controversy in early 2006, when an immigration official sought to deport her and triggered the collapse of the Dutch coalition government. Apart from feelings of guilt over van Gogh’s death, her voice is forceful and unbowed—like Irshad Manji, she delivers a powerful feminist critique of Islam informed by a genuine understanding of the religion. 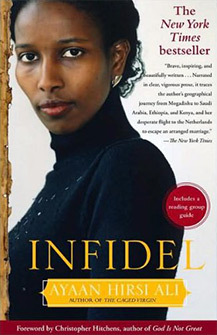 Hirsi Ali, internationally acclaimed for her book The Caged Virgin (2006) and her film depicting the oppression of Muslim women, which cost the life of her colleague Theo van Gogh, now offers a compelling memoir of her life. Stripped of her Dutch citizenship and threatened with the same fate as van Gogh, Hirsi Ali continues to defy conventions regarding Muslim women. She writes poignantly of growing up in Somalia, Saudi Arabia, and Kenya in a strict Muslim family. She was subjected to female circumcision and brutal beatings by a mother who wanted her to conform to the obedience expected of women. With the rising influence of the Muslim Brotherhood in Somalia, her ambitions were even more repressed. She defied a forced marriage and fled to the Netherlands, fighting for the rights of Muslim women and a more open practice of Islam. Her rising political prominence and outspokenness have made her a target of Islamic extremists. Hirsi Ali’s spirited recollections and defense of women’s rights to independence and self-expression are inspiring to women of all cultures. 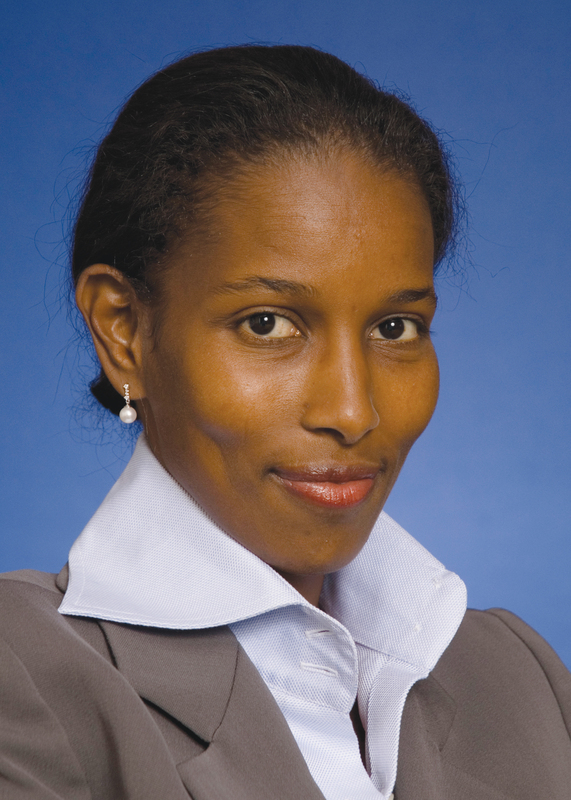 Ayaan Hirsi Ali was born in Mogadishu, Somalia in the late 1960’s. During her childhood she lived in Somalia, Saudi Arabia, Ethiopia and Kenya. In 1992, Ayaan was married off by her father in a ceremony which she refused to attend. In order to escape this marriage, she fled to the Netherlands where she was given asylum, and eventually citizenship. After earning a Masters degree in political science, she served as an elected member of the Dutch parliament for three years. Ayaan was raised Muslim and was devoutly religious as a young woman, but has since become an active critic of Islam, an advocate for women’s rights and a leader in the campaign to reform Islam. Her willingness to speak out and her abandonment of the Muslim faith have made her a target for violence and threat of death by Islamic extremists. She is currently a fellow at the American Enterprise Institute, in Washington DC.